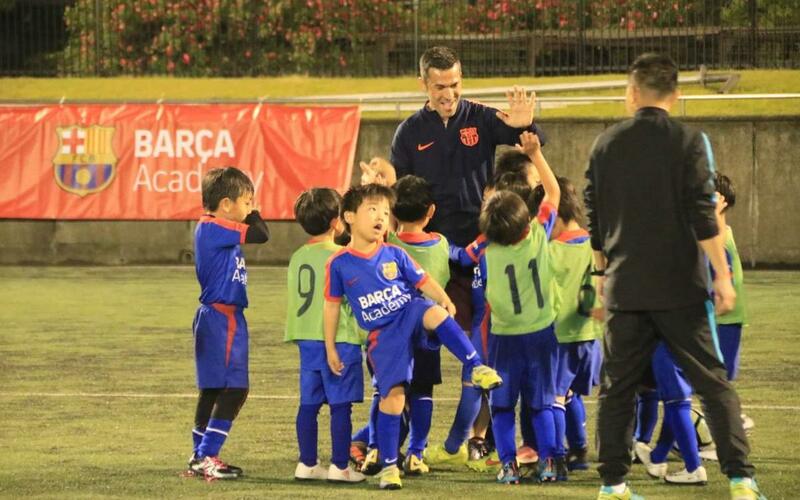 FC Barcelona’s Japan-based football academies, which are in Katsushika, Fukuoka, and Nara have become the first around the world to adopt the Barça Academy name. The event was attended by Barça Legend Luis García, who also gave a masterclass to children attending the Barça Academy Rakuten in Fukuoka and Katsushika, with the support of Rakuten. The events surrounding the official name change were held at the Fukuoka and Katsushika academy campus. They also served to present Rakuten as the official partner of the three Rakuten Barça Academies in Japan. Rakuten also announced Rakuten Barça Academy Challenger Award initiative, which is intended to bring selected students to Barcelona in the summer to visit FC Barcelona’s facilities and to attend summer camp.